Marika Rodu is helping to drive the growth of women's football in Fiji. Fiji’s journey from being ranked among the region’s bottom four to contesting the OFC Women’s Nations Cup final against the world’s 20th ranked team New Zealand is inspiring. 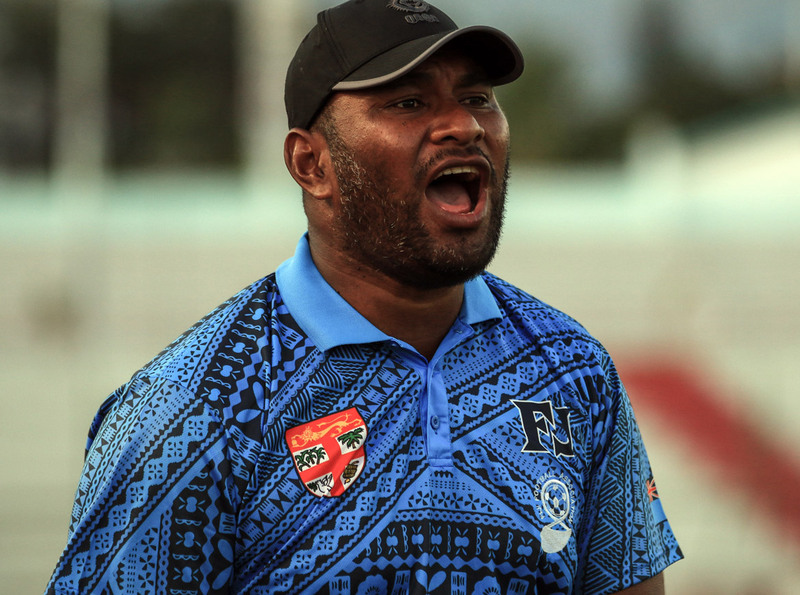 The 2018 campaign began in Lautoka in August when Fiji won through the preliminary competition on home soil to qualify for the final tournament in New Caledonia. Back then, even coach Marika Rodu couldn’t have predicted where the side would end up several months later. “We expected a longer-term vision to unfold but I think the results came in quickly for us,” Rodu said. Rodu believes that with each match, the squad has solidified as a unit, and that is evident in the results they’ve been able to achieve against some traditionally stronger opponents. “Game by game they’ve increased in terms of profile. They’ve understood the language tactically, as the same time we’re still applying technical work with them,” the Fijian said. Pre-Tournament, as well as playing local U-16 boy’s teams Fiji played two friendlies against Samoa winning both matches 5-0 and 2-0. In Group B they warmed up to the competition with a 3-0 win over Cook Islands before romping past Tonga 12-0. The final pool match was against defending champions New Zealand which resulted in a 10-0 loss for Fiji, who made nine changes to their starting line-up for the encounter. Despite a slow start against the region’s second highest ranking nation Papua New Guinea in the semi-final, Fiji came back strong to secure a 5-1 victory and an historic first-ever appearance in the OFC Women’s Nations Cup final. While the players can certainly be congratulated for their commitment a lot of the success can also be attributed to the dedication and talent of Rodu, who is another success story of the OFC Coaching Pathway. Currently undergoing his OFC A Licence, Rodu remains modest about his contribution stating it’s all part of his commitment to football development. “I think you can say undergoing my A Licence is timely,” he said. Rodu is also quick to point out that he’s also still developing his knowledge and skills, pointing out coaching is an ongoing process. “At the same time we have the luxury of having the national men’s coach Christophe Games who has been great in terms of imparting knowledge onto us, especially mentoring me as a coach,” he outlines. Rodu has also made it a point to incorporate a young up-and-coming coach in his staff, with Annabel Rao serving as assistant coach. “The idea is for myself and Christophe to also act as mentors for Annabel, and we have still have more female coaches back home who we think can take up the role anytime. While Rodu has clear ideas about his plans and that of the team in terms of results, he also has overall objectives he’d like to see the team achieve, as well as women’s football in Fiji in general. “Consistency is one,” he explained. “We would like to bring consistency in all aspects of our activities back home – competition and training – at the same time. In addition, Rodu said the development is being assisted by the hard work of the Fiji FA Technical and Competitions departments as they try to provide more and more opportunities for players and coaches alike in the women’s game. “There are district games going on, we’ve got two lines of competition one is the U-18 and the other is the senior women’s teams,” he explained. “But since the majority of the players are U-18 and between the age of 16-18 they play in both teams. That gives them the exposure to the competition that is needed, but in terms of the technical support we still lack these coaching courses going around for coaches to assist in the fast-track of players’ development. While women’s football is something Rodu is passionate about, it’s not the only area of the game where he dedicates his time with the 36-year-old also coaching Rewa FC in the men’s national league. He enjoys both roles, and said he finds the work he does in the women’s game rewarding in a different way to that of his work with Rewa. “I think there’s a lot to achieve in women’s football, and compared with men’s football, there’s a lot in terms of what they want to learn,” he said. “The girls want to learn about football and I think it’s only right to spend my valuable time with them because they deserve the knowledge that they lack.